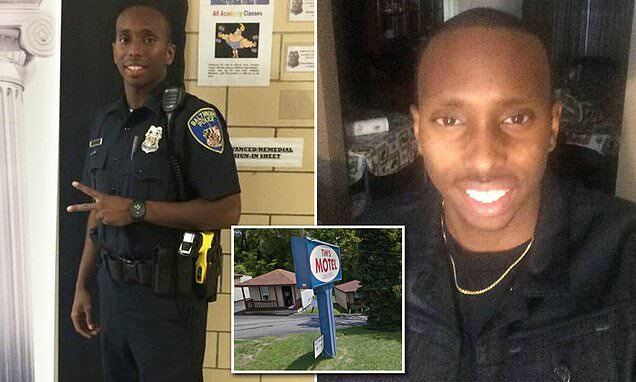 Authorities say an off-duty Baltimore police officer who followed in his father's footsteps and chose law enforcement as a career suffered a fatal heroin overdose at a motel. Officer Joseph Banks Jr died Friday at a motel in Halethorpe. The 25-year-old had been assigned to the juvenile booking unit, The Baltimore Sun reported. A Baltimore County police report says Banks had been using drugs with his girlfriend throughout much of the day on Thursday and overdosed.